Recap: Wiz drop Bulls 114-100 with balanced attack. Please raise your hand if you have this team figured out. In the latest edition of “The Wizards beat who on the road?” The Wizards knocked down the Chicago Bulls 114-100 in a game they controlled from the very beginning. Seven Wizards’ players scored in double figures led by John Wall with 17, Ramon Sessions with 16, Garrett Temple, Nene, and Otto Porter with 14 apiece; and Gary Neal and Drew Gooden contributing 11 and 10 points respectively. 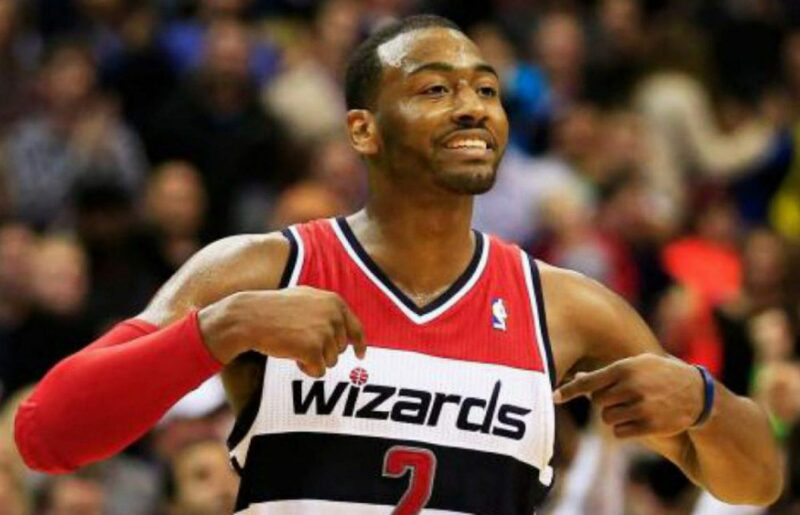 The Wizards took control early as they raced out to a 17-9 lead. They turned the Bulls over five times in the first quarter resulting in eight fast break points. The Wizards used the 18-2 run to take a 50-35 lead midway through the second quarter and led 62-48 at halftime. Chicago would not lay down. The Bulls opened the third quarter on an 11-2 run to cut the lead to six, 69-63 midway through the third quarter. The Wiz countered with a 7-2 run of their own to take an 83-74 lead into the fourth quarter. Once again, the Bulls punched back and were able to get as close as four, 89-95. That’s when the Wizards defense tightened up and turned Bulls’ miscues into easy baskets. The Wizards would use an 18-4 run to pull away from the Bulls and win 114-100. Wizards start out hot: For all that’s been said about this team, they don’t normally get off to slow starts. With Nene filling in for an injured Gortat, it was unclear what we’d get from the big man. Well, Nene was aggressive going right at Gasol for a quick four points to start the game. Active hands from the Orlando game carried over as the Wizards turned the Bulls over five times in the first quarter resulting in eight fast break points. John Wall led the way with eight points, four assists, and two steals in the quarter. Aside from a 6-0 run to end the period for the Bulls, the shorthanded Wizards set the tone in the first 12 minutes of play. The bench comes up big: The Wizards’ bench scored 47 points tonight and outscored the starters 32-30 in the first half. Sessions was perfect from the field in the first half going 4-4 from the field and 6-10 for 16 points for the game. Gary Neal scored 11 points including a 4-point and 3-point play just seconds apart from each other. Drew Gooden was instant energy off the bench with 10 points and 12 rebounds. At one point, the Wizards were forced to use the ultimate hodgepodge lineup of Sessions/Neal/Oubre/Gooden/Blair but they kept the team afloat. Grit: For all the talk about how this team lacks grittiness, every player brought it tonight. Players were hustling as evidenced by a chase down block from Kelly Oubre as well as John Wall denying Joakim Noah at the rim. Temple somewhat slowed down Jimmy Butler who scored just 19 points. Also, let’s not forget the heady play by Temple who followed up Sessions on a missed dunk for an easy putback layup to keep the lead at bay. All in all, a terrific all-around team performance from the Wizards tonight. Next postRecap: Wizards blow lead, hang on to beat Bucks 106-101.